Join us for a tour to get a taste of Threadbare Cider & Mead! We’ll walk you through how we start with local apples and interesting yeasts to produce a portfolio of bottle-conditioned, wine style ciders. 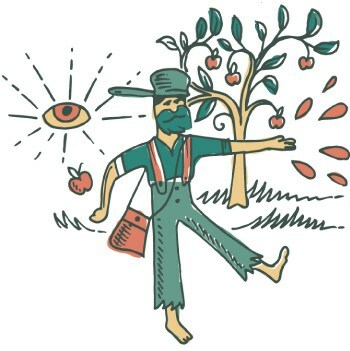 Throughout the tour we’ll regale you with the true tale of the Pittsburgh’s Johnny “Appleseed” Chapman, originator of the frontier cider industry. The tour includes a cider cocktail to start, cider tastings throughout, a tour of our fermentation process, and the quirky history of Johnny Appleseed, the real man. Have a little one? Check out our family friendly tour on Saturday Mornings! ***Ticket exchange/Reschedule policy**** We understand that stuff comes up. If you need to reschedule for a different tour date, please let us know 72 hours in advance of your tour to allow for others to grab your spots. We can not accommodate requests made to exchange tickets received later than the 72 hour window. Please email elise@threadbarecider.com to reschedule tours.